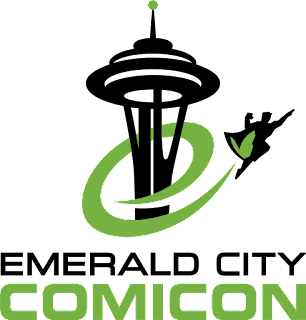 This year, the Emerald City Comicon has been expanded to four days so we can all have the chance to experience that much more fun and excitement at the Washington State Convention Center. Even though the hours for this added day are a bit shorter than the rest, there was still no shortage of panels, guests, cos players, exhibitors and artists to see and interact with. 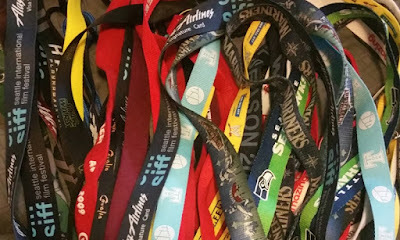 My first order of business was to decide which lanyard I was going to have my press badge hanging from and, as you can see, it was no easy task. In case you are wondering, I ended up going with an ECCC lanyard I had purchased a couple years ago. 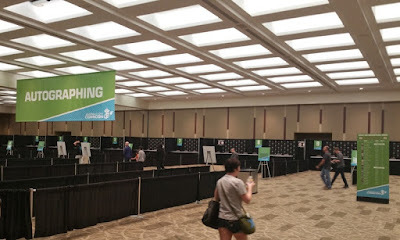 Once my friend and I arrived at the convention center, our first order of business was to wander the show floor and other areas to get our bearings and check out as many vendor and artist booths as we could. No purchasing would be made on this day as this was purely a scouting mission for the days ahead. As you can see, the crowds were light so getting around was actually pretty easy for the most part. The first panel of the convention that I wanted to attend (See my Panel Picks post for the full lineup) was DC Entertainment: All Access which turned out to be a lot of fun and very informative. 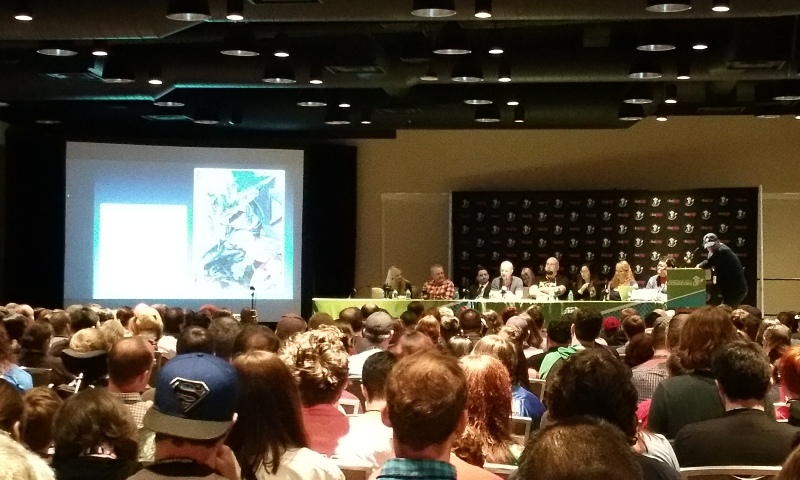 I was happy to see artist Amy Chu on the panel as she is one of my Artist and Exhibitor Picks for this year and her work on Poison Ivy was a popular topic of discussion and there was also a surprise appearance from the one and only Jim Lee. It was also pretty exciting to see some preview art of DC's roster reboot which they are calling "Rebirth" as well as some new concepts they are implementing like the "Pop Up Imprint" label, Young Animals. According to lead creator Gerard Way, the Young Animals lineup will feature just four titles at launch to keep things simple and focused. 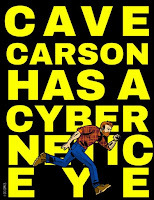 The roster will debut in September with Doom Patrol and will then expand with releases from Mother Panic, Cave Carson has a Cybernetic Eye, and Shade, The Changing Girl, all of which look and sound really cool. 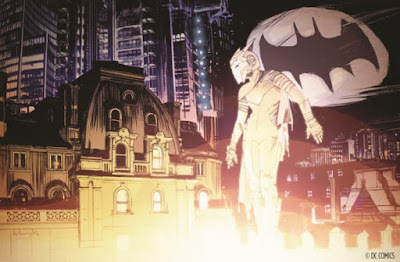 The best thing about these titles is that, while they will each have a life of their own, they are still firmly embedded into the DC universe so you will see lots of familiar faces and locations like how Mother Panic is set within the streets of Gotham. Walking the show floor, I discovered some really cool artists who were not included in my "TwoOhSix Picks" post but am more than happy to reference here so you can check them out as well. Click on each name to view their page on the ECCC website. My one misstep of the day happened when I was not able to get into the "Crafting Creatures with Weta Workshop" panel because I was late and it was full. 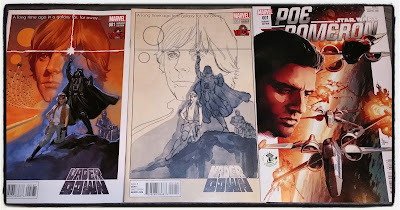 The good news is that because I missed the panel, I had a bit of time to head over to the Reed Pop merchandise stand and managed to snag the Star Wars variant cover exclusives I had been checking out earlier in the day. Overall, this was a great start to the convention and now I'm ready for the madness that will be the next three days. I'll be looking for cos players to take pictures of and will try to sneak in a few interviews with vendors, artists, and guests to include in a video recap of the event. 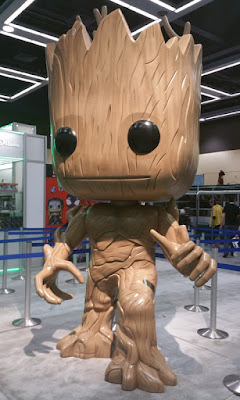 Check out this gigantic baby Groot display!